NVIDIA launched the GeForce RTX 20-series in September this year, with support for several new technologies like machine learning and RTX Raytracing. This feature is so big for NVIDIA that it has changed the naming of their GeForce cards from "GTX" to "RTX". NVIDIA RTX is a near-turnkey real-time ray-tracing model for game developers that lets them fuse real-time ray-traced objects into 3D scenes that have been rasterized. Ray-tracing the whole scene in existence isn't quite possible yet, but the results with RTX are still better-looking than anything rasterizing can achieve. To even get those few bits of ray tracing done right, an enormous amount of compute power is required. NVIDIA has hence deployed purpose-built hardware components on its GPUs that sit alongside all-purpose CUDA cores, called RT cores. 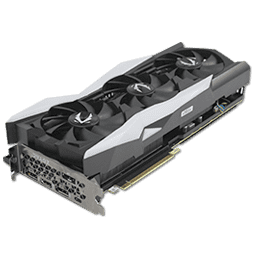 The Zotac GeForce RTX 2080 AMP Extreme is the company's current flagship RTX 2080 card. It comes with a powerful 16-phase VRM and four phases for the memory. Clocks are the highest of all RTX 2080 cards currently on the market with 1905 MHz Boost, which is a 105 MHz increase over the Founders Edition. Memory is also overclocked, to 1800 MHz. 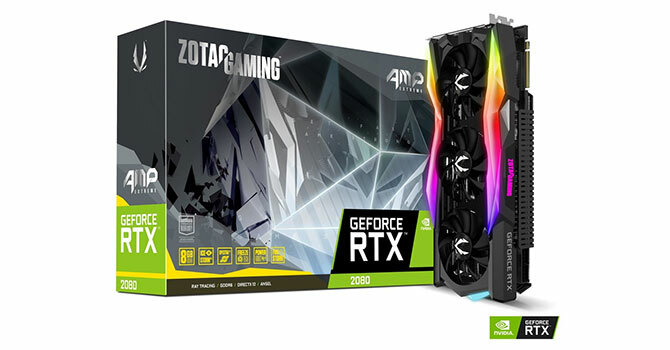 Priced at $900, the card is not cheap—$100 more than the NVIDIA RTX 2080 Founders Edition and $150 more than the cheapest RTX 2080 models currently available.